Are you Talent or just talented? The toughest task of a business owner is usually finding, retaining and leading talent. It’s easy to look at others and see what’s wrong with their performance, especially when we’re paying them! Yet… when was the last time we looked at ourselves and evaluated our own performance? As your boss, how would you rate … Read moreAre you Talent or just talented? Each year it becomes increasingly clear how simple the real estate business really is. Yet, I’m always intrigued by those that make it super complex, and procrastinate over the smallest of tasks. For example: If you want to be a runner… put some shoes on, go outside and start running. Do that again the next … Read moreThe 5 Reasons Agents will Succeed in 2016 – Rate Yourself! Best 10 Reasons to Sell over the Holidays! 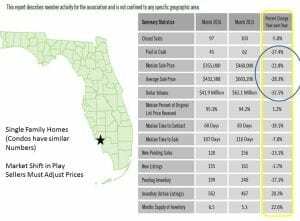 The objection you’ll start to hear from Southwest Florida sellers over the next 60 days is that they are too “busy” during the holidays to sell. Educate them gently with the following reasons why the Holidays are the BEST time to sell a home here. People who look for a home during the Holidays are … Read moreBest 10 Reasons to Sell over the Holidays! August 21, 2019 — Teams & Groups – Am I Out Of The Loop? September 20, 2019 — I Have a Listing/Offer – Now What? October 9, 2019 — The Price Is Right!